Medical Student Lashano Gilbert, 31, who grew up in the Bahamas, was visiting relatives in New London. New London police first used a Taser to subdue Gilbert as he was resisting arrest, state police said. Gilbert was taken to L+M, where he was treated in the emergency room and released to police custody. Back at the New London police station, Gilbert attacked police officers in the station’s booking room, state police said. At that point, police used a Taser on Gilbert a second time. According to state police who investigated the incident, Gilbert, arrested around 7 p.m. Friday, became “unresponsive” while en route to Lawrence + Memorial Hospital. He was pronounced dead at 3:23 a.m. in the hospital’s emergency room. On Thursday, September, 17, 2015, a Connecticut prosecutor ruled that New London officers were justified in using force to subdue Gilbert. It was reported on May 13, 2016 that the Gilbert family filed a federal civil lawsuit against the city of New London, Lawrence + Memorial Hospital and the New London Police Department, for $54 million. 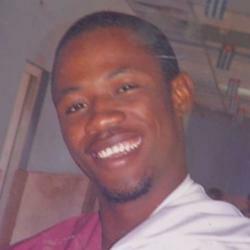 The family feels Gilbert’s death was preventable.